Talk about starting your astronomy work with a bang! 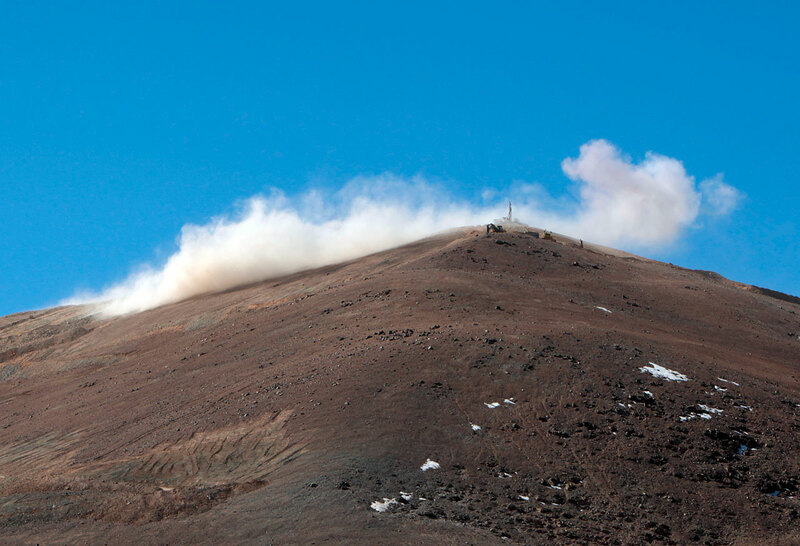 Yesterday’s controlled explosion on the top of Cerro Armazones marked the start of construction preparation for the European Extremely Large Telescope, a 39-meter (128-foot) device intended to teach us more about exoplanets and the universe’s history. Luckily for those of us who couldn’t make it to Chile, the European Southern Observatory gave us some pictures and video of the explosion in action. These in fact are taken from just a few hundred meters away, much closer than delegates got yesterday during the groundbreaking ceremonies. Watch the videos below. First light on E-ELT isn’t expected for another decade, but there will be lots more work to look forward to in the coming weeks, months and years. More explosions will continue to remove the top of the mountain and make it level for the telescope, and the design of the large telescope will be finalized. Also, here’s some weekend reading for you, too: ESO’s 264-page construction proposal document for E-ELT. Also check out our previous stories on the explosion here and here.